Follow the signs for M2 Durban. Come down the ramp and keep left through the traffic light. Turn right at Betty St. Turn right again into Fox St.
Arts on Main is on your left. 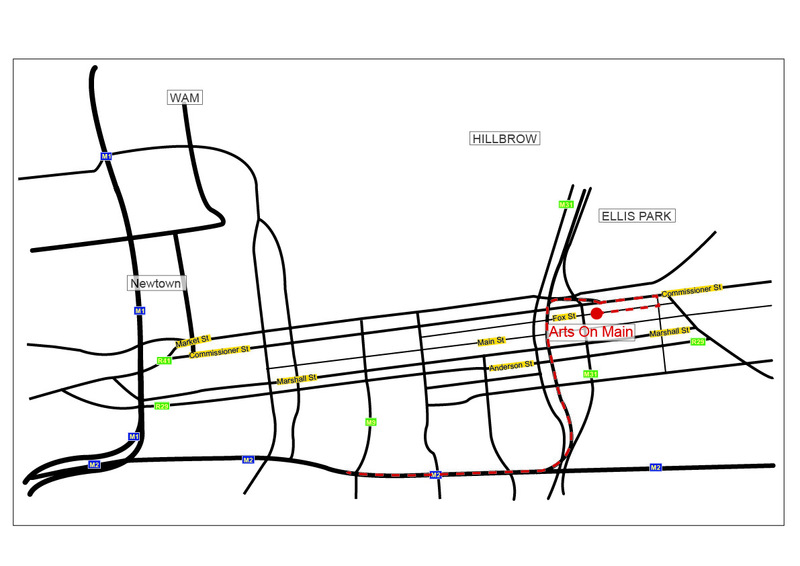 There is guarded parking for Arts on Main on Fox St, Berea Rd and Main Rd. Pedestrian entrance to Arts on Main is on Fox St only. Send us a comment, make a suggestion or give us some feedback.